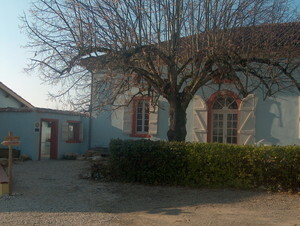 Located on Moissac hills, our “chambres d’hôtes” have been listed as “3 épis” by “Gîtes de France”. The dinner is also proposed. Take advantage of your stay to enjoy our “Beauty Farm”, wellness and aesthetic cares, our spa, turkish baths and sauna, for one day or a week-end. Go across Moissac, direction Bourg-de-Visa (D7). After 5 kms, you arrive to the hamlet of Mathaly. Cap Mathaly is located at your left, 500 m after the school.